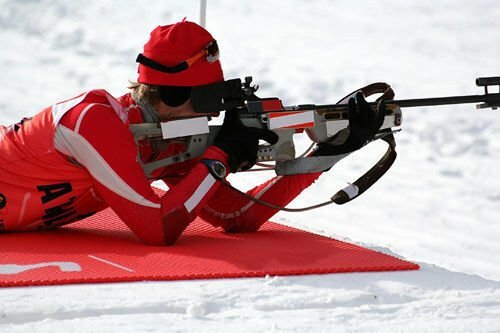 Bansko will be the host of the IBU CUP BIATLON in 2011. In connection with the good organization of the race was held a working meeting of the Organising Committee. It was attended by Director of IBU - Ventsislav Iliev, Technical Delegate of the European Biathlon Federation - Karl-Heinz Wolf, the Mayor of Bansko and President of the Organising Committee - Alexander Kravarov, Deputy President - Catherine Dafovska and others. Issues that were discussed at the meeting were related to housing, feeding and transportation of the participants. The mayor pointed out that by mid-December the cabins for the competitors of the ski races will be built, the cabins are for the participants to get prepared for the races. Alexander Kravarov expressed belief that this time Bansko will do well at home and will do everything possible for the competitors and guests to get the most enjoyment out of the Bansko 2011 experience.